Our psyche is extremely complex, which makes it hard for us to constantly tolerate each other and get along. This emphasizes the importance of positive thinking, as it is the only way to face these challenges and remain on the positive side of the mental equation. 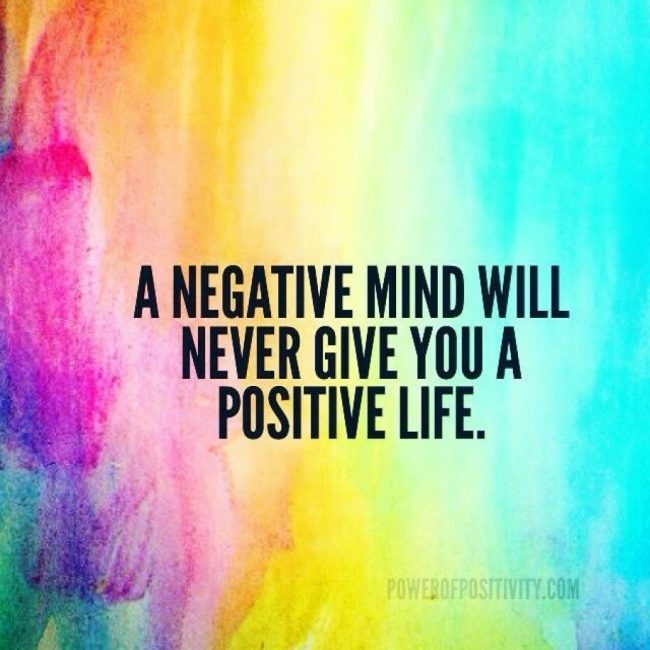 However, we are all susceptible to negativity, which manifests spontaneously and disturbs us. Black and white thinking. Seeing everything as one way or another, without any in between. Filter thinking. Choosing to see only the negative side of a situation. No matter how much our negative thoughts are not “socially acceptable”, we need to admit to ourselves that they are normal. Even the nicest and kindest people have a much darker side that makes them struggle with negativity on a daily basis. All people around us struggle on a deeper level with such thoughts, so you should not blame yourself, but accept that those disturbing ideas are completely normal and happen to all of us. Yet, we should not allow negative thoughts to stimulate our actions, even though they are powerful, so we often give them all the weight and dismiss the positive. Our thoughts will be important only if we give them significance. Therefore, we need to stop them on time and avoid their adverse effects. There is no magical solution to negativity in life, and it is never easy to instantly focus on the bright side of life. Yet, if you decide to address these deeper issues, you will soothe the mind, and make you much stronger afterward. However, the only effective way to handle the pessimistic thoughts in life, and fight the hopelessness, despair, and blackness, is to deal with the root cause of these issues. Sometimes, you just need to go back to your early childhood and find out the real cause of your negativity. It can be fear, disappointment, insecurity, loneliness, and so on. However, as soon as you start dealing with it, you will quiet your mind, and start regaining the control in your life. With dedicated practice, everyone can change the negative thinking patterns and substitute them with positive, helpful thoughts, which will, in turn, lead to day-to-day happiness and comfort.